Based on the Italian-language opera buffa in two acts by Wolfgang Amadeus Mozart first performed in 1790. The libretto was written by Lorenzo Da Ponte, who also wrote Le nozze di Figaro and Don Giovanni. 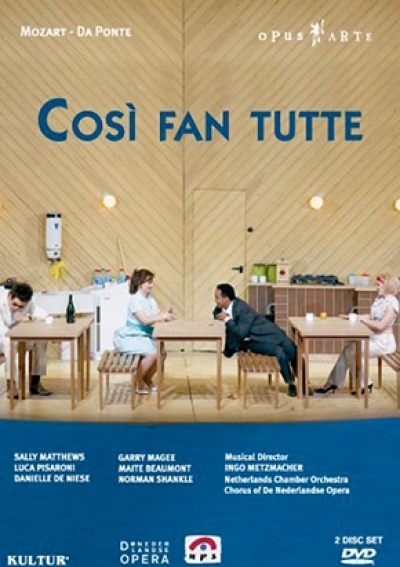 Set in a 1960s youth hostel, Così fan tutte is a charmingly original tableau of adolescent inexperience. Ingo Metzmacher and a sparkling ensemble and cast underscore this unique vision of a kaleidoscope of human emotions with commitment and vitality.